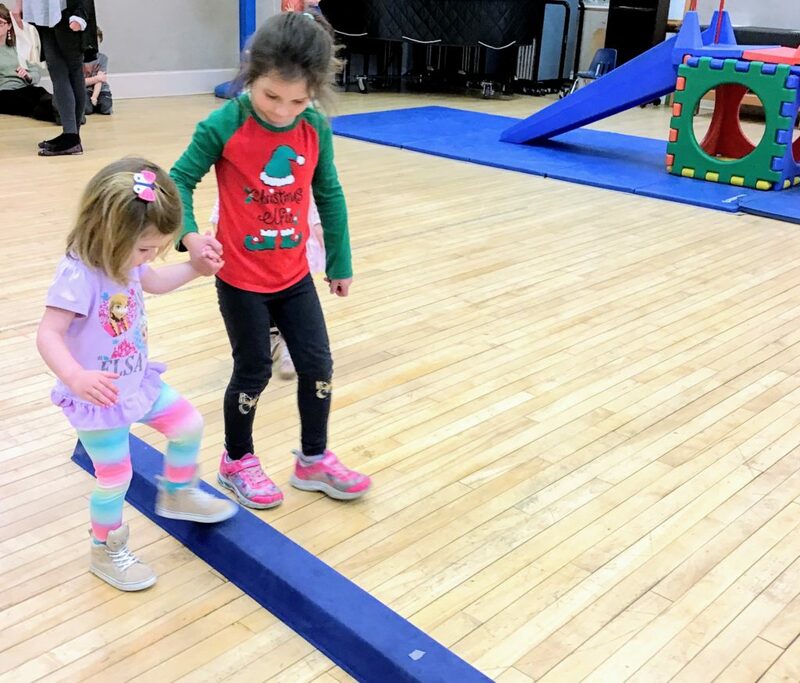 During the Week of the Young Child, on “Work Together Wednesday”, our 4s put together an obstacle course in our gym and then demonstrated for the 2s and 3s how to navigate it, and even assisted them in making their way through. Some 4s demonstrating for the 3s how to navigate the obstacle course. One of the 2s gets assistance from one of the 4s in walking the balance beam in the obstacle course.